Heat the oven to 350°F and arrange a rack in the middle. Line a baking sheet with parchment paper and set aside. Place oats in the bowl of a food processor and pulse several times until they are about half powder and half small flakes. Transfer oats to a large bowl, add flour, salt, baking soda, and baking powder, stir to combine, and set aside. Combine butter, peanut butter, and both sugars in the bowl of a stand mixer fitted with a paddle attachment and mix on medium speed until light and fluffy, about 2 minutes. Scrape down the sides of the bowl, add egg and vanilla, and beat until smooth, about 30 seconds. Add oat mixture and mix on low speed until dough comes together. Add chocolate and mix on low speed for a few seconds until just incorporated. Scoop dough by rounded tablespoons onto the parchment-paper-lined baking sheet. Bake until the cookies are golden brown at the edges but still soft in the center, about 10 to 13 minutes. Remove from the oven and let sit on the baking sheet for a few minutes before transferring to a rack to cool completely. Coat an 8-by-8-inch baking dish with butter and set aside. Combine milk, chocolate chips, and marshmallows in a medium saucepan over medium heat. Cook, stirring constantly, until mixture is melted and smooth, about 5 minutes. 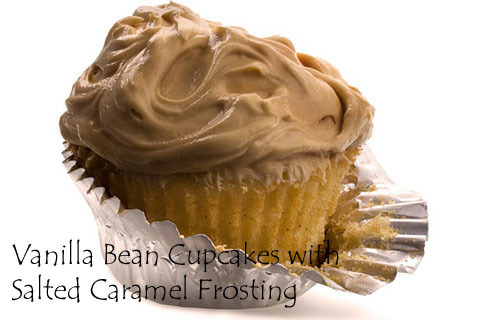 Remove from heat and mix in peanut butter and vanilla extract until thoroughly combined. Turn into the prepared baking dish, spread out evenly, and let cool to room temperature, about 10 minutes. Cover and place in the refrigerator until firm, about 1 hour. Cut into 25 squares and serve. Combine flour, baking powder, and salt in a medium bowl and whisk to aerate and break up any lumps; set aside. Place butter in the bowl of a stand mixer fitted with the paddle attachment and beat on medium-high speed until very light in color, about 3 minutes. Add sugar and vanilla seeds (if you’re using vanilla extract instead, you’ll add it later), and continue beating until the mixture is airy, about 3 minutes. Scrape down the paddle and the sides of the bowl, turn the mixer to medium speed, and add the egg whites one at a time, beating well after each addition. Then add the eggs one at a time, beating well after each addition. Add the milk (and vanilla extract, if you’re using it in place of seeds) and mix until combined (the mixture will look curdled, but it’s not). Scrape down the sides of the bowl. Reduce the speed to low, add the reserved flour mixture, and mix until just combined, about 15 seconds. Fill the muffin wells about halfway and bake until the cupcakes are golden brown and a toothpick inserted into the center comes out clean, about 18 minutes. Set the pans on a wire rack and let cool for 5 minutes. Remove the cupcakes from the pans and let cool completely before frosting. Coat the bottom of a metal spatula and a 13-by-9-inch baking dish with butter; set aside. 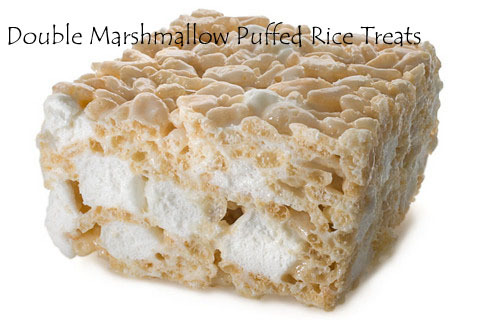 Combine 8 cups of the marshmallows and the butter in a medium pot and cook over medium-low heat, stirring frequently, until melted and smooth, about 8 minutes. Remove from heat and stir in cereal until well coated. Add remaining 3 cups marshmallows and stir just until mixed. Immediately turn mixture into the prepared baking dish and use the buttered spatula to uniformly flatten. Let set up until room temperature and firm, about 45 minutes. Cut into 15 (2-1/2-inch-by-2-1/2-inch) squares and serve. Heat oven to 350°F. Sprinkle work surface with flour. 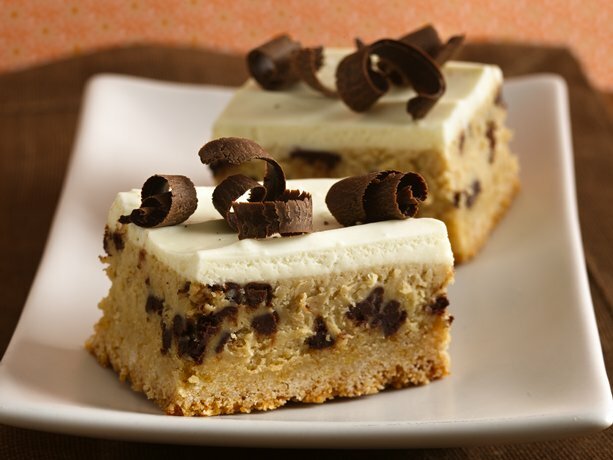 Cut cookie dough lengthwise into 4 quarters. While working with 1 quarter, return remaining dough to refrigerator. Press or roll each quarter of dough into 12x4-inch strip. With pizza cutter or knife, cut each strip into 6 triangles by making alternating angled cuts across strip. Shape 2 end pieces to form 1 triangle. On ungreased cookie sheets, place cookies 1/2 inch apart. Bake 7 to 9 minutes or until edges are very light golden brown. Cool 1 minute; remove from cookie sheets to cooling rack. Cool completely, about 10 minutes. Spread frosting on cooled cookies. Before frosting dries and working over bowl, spoon yellow sugar onto bottom third of each cookie to coat. 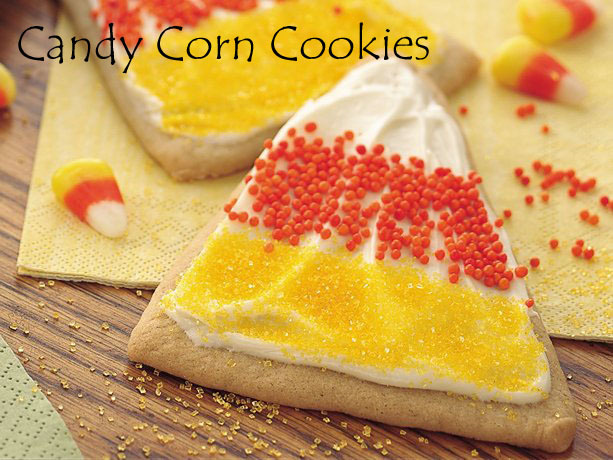 Spoon orange candy sprinkles in stripe onto middle of each cookie. Combine the butter, corn syrup, brown sugar and salt in a small pan over medium heat. Boil this mixture for five minutes. After you boil the mixture, stir in the baking soda. Drizzle your caramel mixture over the popped corn. Take your time to make sure that each kernel is covered. You don't want the first third of your popcorn covered in the caramel mixture and nothing else. Bake this seasoned corn in a pan for one hour, making sure to stir every 15 minutes. Bake the caramel popcorn for 40 to 50 minutes. Once the popcorn turns a dark brown, the popcorn is finished. Spread the corn on wax paper while it dries. Make sure that you allow the popcorn to cool before breaking it up. Once the caramel popcorn is cool and broken, store it in an airtight container to keep it fresh. The following healthy power foods can claim big bragging rights: They can fend off serious diseases like diabetes and cancer and heart problems; fortify your immune system; protect and smooth your skin; and help you lose weight or stay slim. If you're eating most of these healthy foods already, good for you! If not, now's the time to load up your shopping cart and supercharge your health! Special Offer! Fed up with diets? Find out how to melt belly fat fast. Egg yolks are home to tons of essential but hard-to-get nutrients, including choline, which is linked to lower rates of breast cancer (one yolk supplies 25% of your daily need) and antioxidants that may help prevent macular degeneration and cataracts. Though many of us have shunned whole eggs because of their link to heart disease risk, there’s actually substantial evidence that for most of us, eggs are not harmful but healthy. People with heart disease should limit egg yolks to two a week, but the rest of us can have one whole egg daily; research shows it won’t raise your risk of heart attack or stroke. Make omelets with one whole egg and two whites, and watch cholesterol at other meals. Find out the secret ingredient that's making you fat! It’s hard to imagine a more perfect food than beans. One cooked cupful can provide as much as 17 g fiber. They're also loaded with protein and dozens of key nutrients, including a few most women fall short on—calcium, potassium, and magnesium. Studies tie beans to a reduced risk of heart disease, type 2 diabetes, high blood pressure, and breast and colon cancers. The latest dietary guidelines recommend consuming at least 3 cups of beans a week—3 times the measly 1 cup we usually get. Keep your cupboards stocked with all kinds: black, white, kidney, fat-free refried, etc. Use them in salads, stuffed baked potatoes, and veggie chili or pureed for sandwich spreads. Olive oil is full of heart-healthy monounsaturated fats (MUFAs), which lower "bad" LDL cholesterol and raise "good" HDL cholesterol. 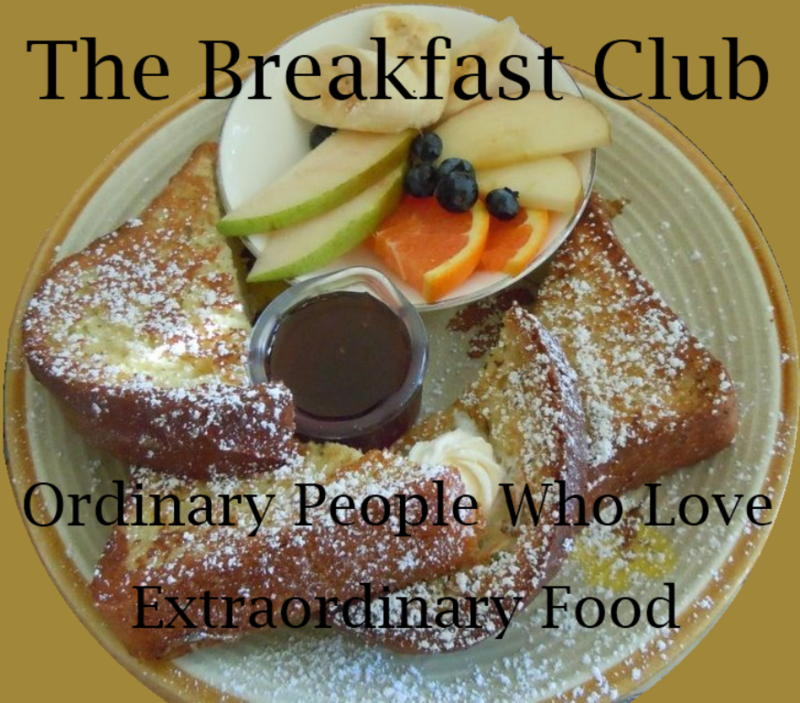 It’s rich in antioxidants, which may help reduce the risk of cancer and other chronic diseases, like Alzheimer’s. Look for extra virgin oils for the most antioxidants and flavor. Drizzle small amounts on veggies before roasting; use it to sauté or stir-fry, in dressings and marinades, and to flavor bread at dinner in lieu of a layer of butter or margarine. These smooth, buttery fruits are a great source of not only MUFAs but other key nutrients as well. One Ohio State University study found that when avocado was added to salads and salsa, it helped increase the absorption of specific carotenoids, plant compounds linked to lower risk of heart disease and macular degeneration, a leading cause of blindness. "Avocados are packed with heart-protective compounds, such as soluble fiber, vitamin E, folate, and potassium," says Elizabeth Somer, RD, author of 10 Habits That Mess Up a Woman's Diet. Get Healthy Avocado Recipes But they are a bit high in calories. To avoid weight gain, use avocado in place of another high-fat food or condiment, such as cheese or mayo. One of the best ways to get vitamin A—an essential nutrient that protects and maintains eyes, skin, and the linings of our respiratory, urinary, and intestinal tracts—is from foods containing beta-carotene, which your body converts into the vitamin. Beta carotene-rich foods include carrots, squash, kale, and cantaloupe, but sweet potatoes have among the most. A half-cup serving of these sweet spuds delivers only 130 calories but 80% of the DV of vitamin A. Replace tonight’s fries with one medium baked sweet potato (1,096 mcg) and you’re good to go—and then some. One large Asian pear has a whopping 10 g of cholesterol-lowering fiber, about 40% of your daily need. People who ate the most fiber had the lowest total and LDL cholesterol levels, according to a recent study of Baltimore adults. The same researchers found that people who ate the most fiber also weighed the least and had the lowest body mass index and waist circumference. Serve by dicing it into a salad of Boston lettuce, crumbled goat cheese, walnuts, and mandarin oranges. Or make it a dessert: Add peeled and cored pears to a saucepan with 1 cup white wine, 1 teaspoon honey, 1 teaspoon grated fresh ginger, and enough water to cover the pears. Cover and simmer 40 minutes or until pears are soft. Preheat oven to 350 degrees. Line 2-24 mini-muffin cups. Prepare boxed brownie mix as directed. Spoon batter evenly into muffin cups (about 1 heaping teaspoon). Bake for 13-15 minutes or until top is set and a toothpick inserted into center comes out slightly wet. After brownies are out of the oven, press a mini peanut butter cup in the center until it is almost flush with the top of the brownie. When partly melted, use a spreader and smooth out peanut butter cup to coat brownie bite. 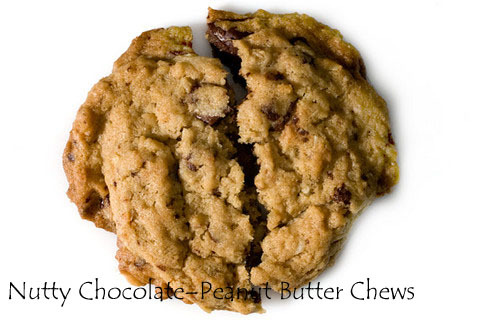 Top with semi-sweet chocolate chips and peanut butter chips. Cool completely in pan. Enjoy! Heat oven to 350°F. Spray bottom and sides of 13x9-inch pan with cooking spray. In large bowl, stir cookie base ingredients until soft dough forms. Press dough in bottom of pan. Bake 15 to 18 minutes or until light golden brown. Cool 15 minutes. Meanwhile, in another large bowl, beat 2 packages (8 oz each) cream cheese with electric mixer on medium speed until smooth. Add milk; beat until well blended. Add coffee, vanilla and eggs; beat until well blended. Stir in chocolate chips. Pour over cookie base. Bake 35 to 40 minutes or until set. Cool at room temperature 30 minutes. Refrigerate 30 minutes to cool completely. In small bowl, beat 6 oz cream cheese on medium speed until smooth. Gradually beat in whipping cream; beat about 2 minutes longer or until fluffy. Spread mixture over cooled bars. Sprinkle chocolate curls over topping. Refrigerate about 2 hours or until chilled. For bars, cut into 9 rows by 4 rows. Store covered in refrigerator. Heat a skillet over medium-high heat. Place bacon strips in skillet and fry for 2-3 minutes until still soft but slightly cooked. Remove bacon and pat dry with paper towels. Crumble 3 pieces and place in a small bowl. Remove cream cheese from package and place in a bowl. Allow cream cheese to soften for about 15 minutes outside the refrigerator. Measure out butter into a measuring cup and allow to soften for 5 minutes. Combine cream cheese and butter in a large bowl with a hand mixer until the ingredients combine and start to cream. Slowly add in the confectioner's sugar and beat until smooth and frosty. Add 1 teaspoon vanilla extract, 1 teaspoon lemon juice, 1/4 teaspoon salt and 1 tablespoon of whole milk into the mixing bowl. Mix in the remaining ingredients until all ingredients are fully incorporated. Mix in crumbled bacon and place in refrigerator. Cook according to package instructions. Remove from oven and allow to cool for 5 minutes. Frost with bacon and cream cheese frosting and serve. Enjoy! Combine meat and onion in a large pan and cook until meat is browned, drain juices. Stir in flour and add tomatoes, soup and kidney beans. Add seasonings, stir. Bring to boil, then simmer on low for 1 hour stirring occasionally. Spread out onto floured board and roll out to 1/2 " thick rectangle. Cut into 4x4 " squares and place into sprayed cupcake pans. Bake at 375 degrees for approximately 15 minutes or until golden brown. Fill with chili and top with cheese and green onions. Bake at 375 degrees for approximately 15 minutes or until golden brown. Set aside and prepare macaroni and cheese filling. Boil the macaroni according to the package directions, drain and set aside. In a large saucepan over medium-high heat, cook the bacon until crispy. Set aside the bacon but reserve the drippings. Reduce the heat to medium and add and melt two tablespoons of butter to the bacon drippings. Whisk in the flour until smooth. Whisk in the milk until well combined and thick, about two minutes. Whisk in the jack and cheddar cheeses until combined. Whisk in the cream cheese until smooth. Stir in the reserved bacon and macaroni until well combined. Reduce the heat to low and let simmer. Meanwhile in a large skillet, combine one tablespoon butter, breadcrumbs and garlic and allow to toast for about 5 minutes or until golden brown. Make sure to stir often as they can quickly go from golden brown to black in a matter or seconds. Spoon the macaroni into prepared pizza dough cups and sprinkle with bread crumbs, green onions and remaining bacon. Arrange a sheet of phyllo on a large cutting board (be sure to cover the remaining phyllo sheets with a slightly damp paper towel or plastic wrap) and brush the top with melted butter.Arrange another sheet on top of the first sheet and repeat, alternating butter and phyllo, until there are 6 layers. Brush the top layer with butter. Using a sharp knife, cut the phyllo into 12 approximately 4-by-4-inch squares.Fit 1 square snugly into each well of a 12-well muffin pan, gently pressing the phyllo into the bottom and up the sides of each well. Bake until the dough is lightly browned and crispy, about 10 minutes. Remove the pan from the oven and let it cool on a wire rack. When the cups are cool, remove them from the pan and set aside. The cups can be stored at room temperature in an airtight container for up to 2 days. Peel, halve, and core the pears. Cut into medium dice (you should have about 2 cups) and set aside. Melt the butter in a medium frying pan over medium heat until foaming. Sprinkle the brown sugar over top and cook until the mixture is bubbling and the sugar has dissolved, about 3 minutes. Stir in the walnuts and set aside. Place the cream, brown sugar, and vanilla in a large bowl and whisk vigorously until stiff peaks form, about 5 minutes. Add the sour cream and whisk until just incorporated. 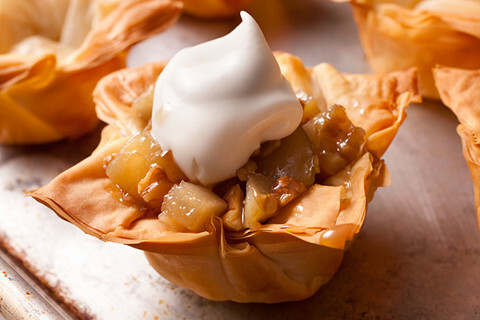 To serve, divide the gingered pears and their juices among the phyllo cups and top with the whipped cream. Serve immediately. Heat the oven to 350°F and arrange a rack in the middle. Generously coat the wells of a 12-well muffin pan with butter; set aside. Heat 1 tablespoon of the oil and the measured butter in a medium frying pan over medium heat until the oil is shimmering and the butter has melted. Add the diced onion and cook, stirring rarely, until it is a deep golden brown, adjusting the heat as necessary if it starts to brown too much, about 30 minutes. Season well with salt and pepper, add the thyme, and stir to combine. Transfer the mixture to a medium bowl. Meanwhile, clean, trim, and slice the mushrooms 1/2 inch thick; set aside. Crumble the goat cheese into pea-sized pieces and set aside. Return the frying pan to medium heat, add the remaining tablespoon of oil, and heat until shimmering. Add the sliced mushrooms, season with salt and pepper, and cook, stirring rarely, until golden brown, about 10 minutes. Add to the bowl with the onion. Add the goat cheese to the bowl and stir to evenly combine; set aside. Place the eggs and milk in a large bowl and whisk until the eggs are broken up and evenly combined with the milk, about 1 minute. Add the measured salt and whisk to combine. 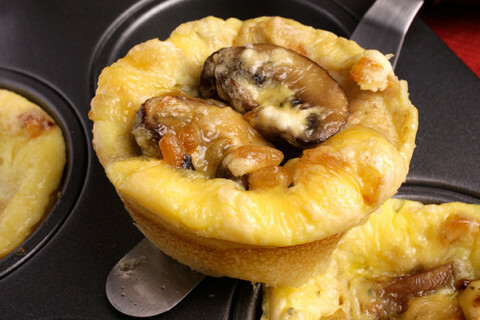 Divide the onion-mushroom-cheese mixture evenly among the wells of the prepared muffin pan. Fill each well almost to the top with the egg mixture. Bake until each frittata is puffed and the center is just set, about 12 to 15 minutes. Remove the pan to a wire rack until it’s cool enough to handle, about 5 minutes (the frittatas will deflate). Run a small knife around the perimeter of each well to loosen and remove the frittatas. Serve warm or at room temperature. Heat oven to 400°F. Spray 9-inch springform pan with cooking spray. 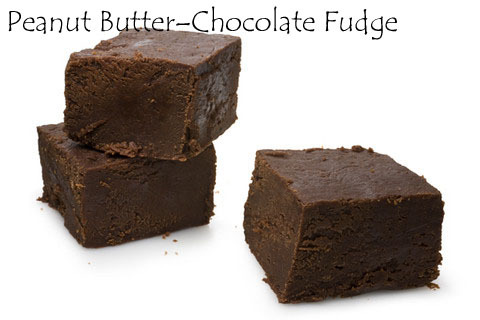 In 3-quart saucepan, melt semisweet chocolate and butter over medium-low heat, stirring constantly, until smooth. Cool 30 minutes. In medium bowl, beat eggs with electric mixer on high speed about 5 minutes or until about triple in volume. Using rubber spatula, fold eggs into cooled chocolate mixture. Pour into springform pan. Bake 15 to 20 minutes or until edge is set but center is still soft and jiggles slightly when moved. Cool completely in pan, about 1 hour 30 minutes. Then cover and refrigerate 1 hour 30 minutes. In medium microwavable bowl, place white chocolate and 2 tablespoons of the whipping cream. Microwave uncovered on High 20 to 40 seconds, stirring after 20 seconds, until chocolate is melted. Stir until well blended. In medium bowl, beat cream cheese on medium speed until smooth. Gradually beat in white chocolate mixture until smooth. Add 1 cup of the pie filling; beat on medium speed until well blended and cherries are broken up. In chilled medium bowl, beat remaining whipping cream and almond extract on high speed until stiff peaks form. Fold in cherry-chocolate mixture until well blended. Spread over semisweet chocolate layer. Refrigerate at least 2 hours but no longer than 48 hours. In small bowl, stir remaining pie filling and liqueur until well blended. Remove side of pan. Cut torte into wedges; place on individual dessert plates. 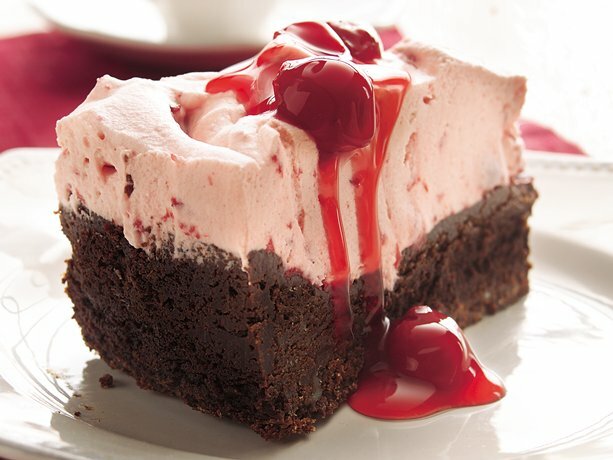 Top individual servings with cherry sauce. In 2-quart saucepan, mix granulated sugar, cornstarch, cinnamon and nutmeg with whisk. Add peaches; toss to coat. Cook over medium heat, stirring constantly, until sauce is thick and bubbly and coats peaches. Remove from heat. Cool completely. Meanwhile, heat oven to 450°F. Line 2 cookie sheets with cooking parchment paper. Remove 2 pie crusts from pouches; unroll on floured work surface. Using 3 1/2-inch round cutter, cut out 8 rounds from each crust. Place 8 rounds on each cookie sheet. Gently press 1 craft stick in center of each round. Spoon fruit mixture evenly onto each round to within 1/2 inch of edge. Brush edges with egg. Remove remaining 2 pie crusts from pouches; unroll on floured work surface. Using 4-inch round cutter, cut out 8 rounds from each crust. Cut each round into 1/4-inch-wide strips. Place half of strips 1/4 inch apart over filling on each round. Weave remaining strips over and under. Seal edges. Brush strips with remaining egg. Sprinkle with sparkling sugar. Bake 10 to 13 minutes or until crust is golden brown. Remove from cookie sheets to cooling racks; cool completely. Heat oven to 375°F. In large bowl, place cookie mix. Cut in butter, using pastry blender or fork, until mixture looks like coarse crumbs. In a large bowl, add peeled and sliced peaches and combine with sugar and tapioca. 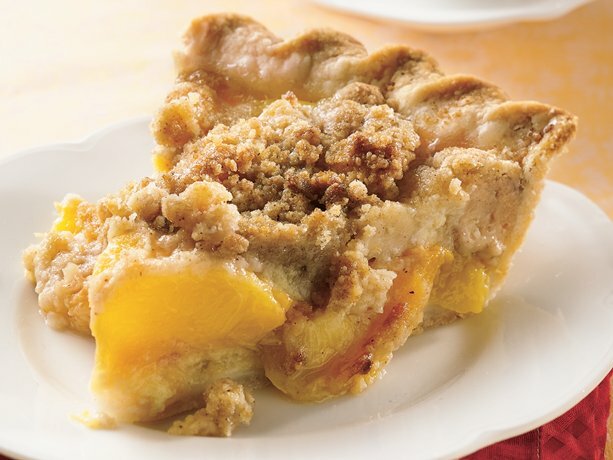 In ungreased 8-inch square baking dish or 2-quart round casserole, place prepared peaches. Sprinkle cookie mixture over peaches. In medium bowl, mix 1 cup flour and the salt. Cut in shortening, using pastry blender (or pulling 2 table knives through ingredients in opposite directions), until particles are size of small peas. Sprinkle with cold water, 1 tablespoon at a time, tossing with fork until all flour is moistened and pastry almost cleans side of bowl (1 to 2 teaspoons more water can be added if necessary). Heat oven to 425°F. On lightly floured surface, roll pastry with floured rolling pin into round 2 inches larger than upside-down 9-inch glass pie plate. Fold pastry into quarters; place in pie plate. Unfold and ease into plate, pressing firmly against bottom and side. Trim overhanging edge of pastry 1 inch from rim of plate. Fold and roll pastry under, even with plate; press edge with tines of fork or flute if desired. Place peaches in pastry-lined plate. 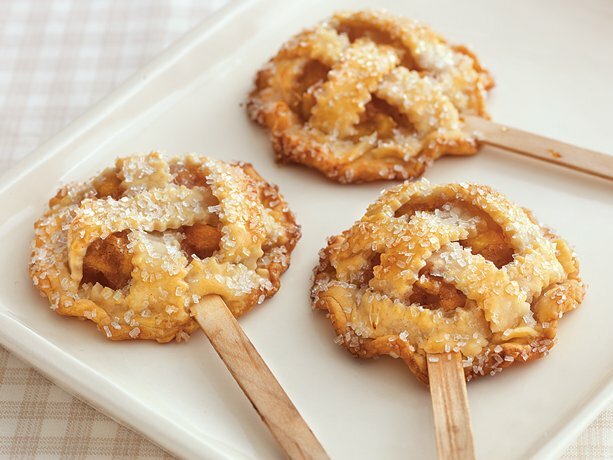 Mix granulated sugar and 1/2 teaspoon nutmeg; sprinkle over peaches. In small bowl, beat whipping cream and egg with fork or wire whisk until blended; pour over peaches. 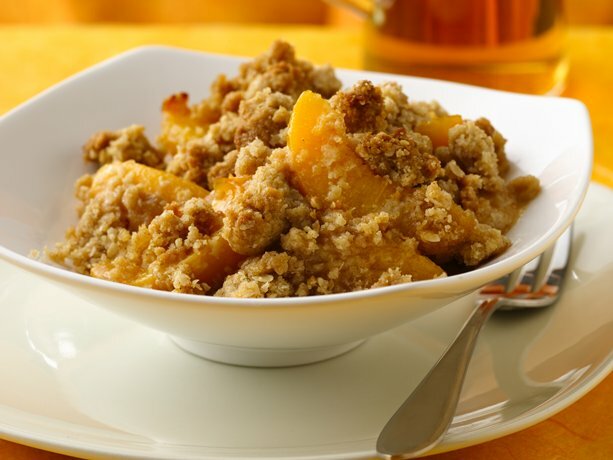 In another small bowl, mix topping ingredients with fork until crumbly; sprinkle over peaches. Cover edge of pastry with 2- to 3-inch-wide strip of foil to prevent excessive browning; remove foil for last 15 minutes of baking. Bake 35 to 40 minutes or until top is golden brown. Cool 30 minutes. Serve warm.